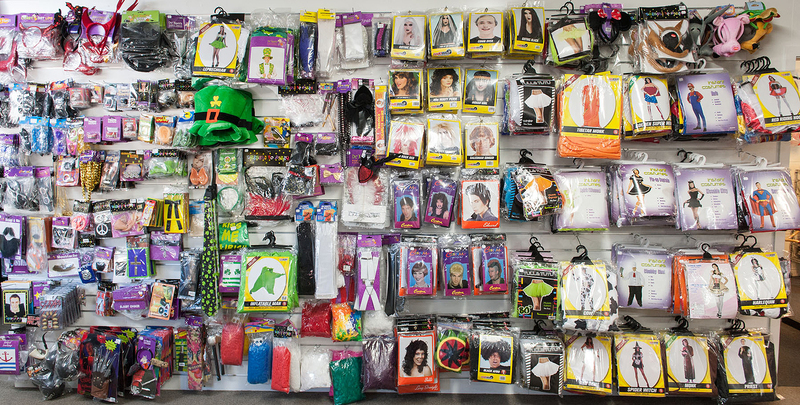 Always popular,always easy to wear -ANIMAL costumes. 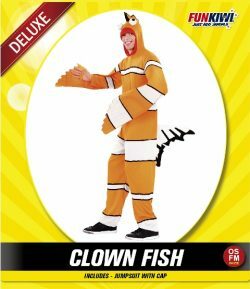 Clown fish costume, jumpsuit with hood. 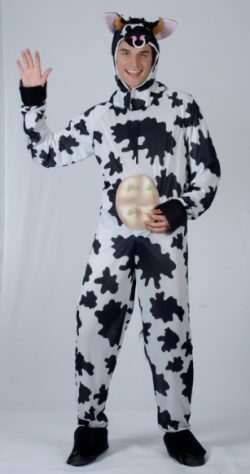 Cow jumpsuit with pink udder, tail and headgear. 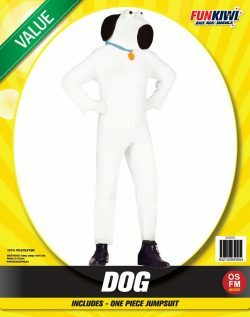 Family Guy favourite white Dog character one piece jumpsuit. 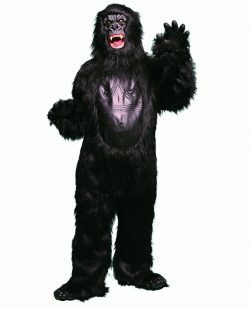 Black gorilla costume including furry jumpsuit, latex mask, hands and feet. 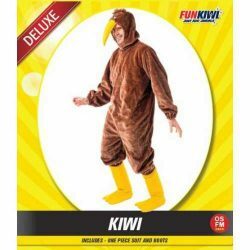 Kiwi costume consisting one piece jumpsuit and boots attached. 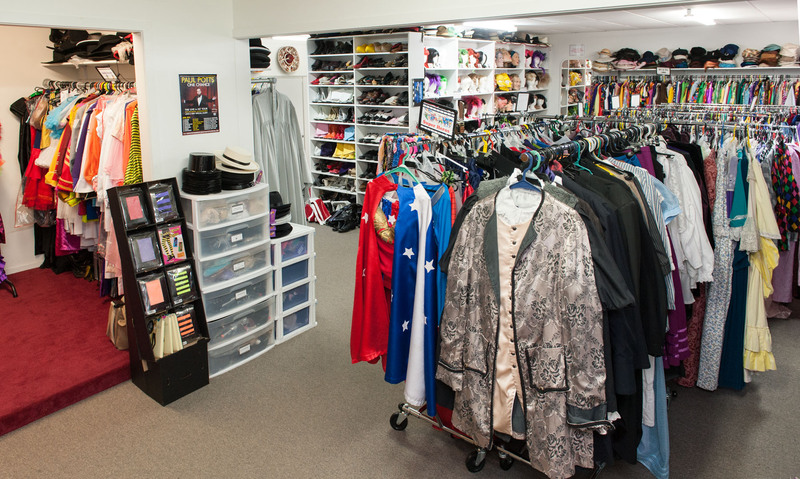 Costume includes jumpsuit and mask. 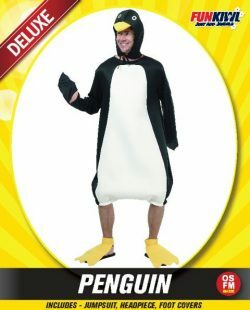 Penguin costume to purchase including headgear and foot covers. 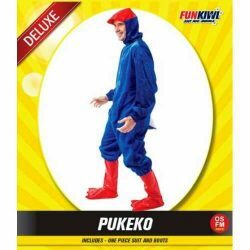 Pukeko one piece jumpsuit and attached boots. 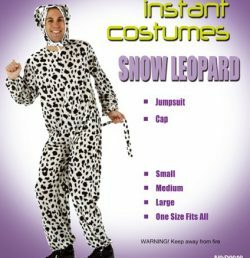 Snow Leopard jumpsuit and headgear. 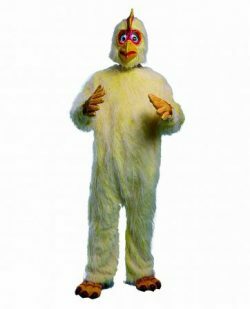 Bright yellow fluffy chicken costume with latex mask, hands and feet.